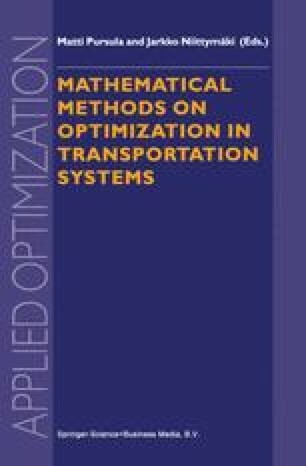 In this article we study the pricing of transportation in congestion highways. The traditional approach to tolls consider the introduction of marginal tolls into networks as a solution to congestion. Recently, some authors consider another type of tolls, minimum-revenue tolls, where they get the same effect than with marginal tolls by means of tolling only a few links in the network. In  an algorithm using a link-path formulation for a multicommodity assignment problem is presented. We use minimum revenue tolls using a link-node formulation, for only one single commodity and multiple O-D pairs, with a better performance of the algorithm.